Among mushrooming leagues in various sports disciplines, now India is set to get an amateur cricket league – Ferit Cricket Bash. Even as a formal announcement will be made in the Capital on December 19 (Wednesday), the organisers are seeing the path-breaking venture “as the dawn of a new era in Indian cricket”. Once the mainstay for Team India’s new ball attack, Zaheer Khan is promoting the league with Indian film actor Suniel Shetty. A veteran of more than 600 Test wickets (Tests 311, ODIs 282 and T20Is 17), Zaheer is regarded as one of the sharpest brains in Indian cricket, whose commitment to the sport and sportspersons is talked about very highly. He has represented India in 92 Tests, 200 one-day internationals and 17 T20 international games. The 15-over-a-side amateur league is conceptualised with additional fun elements, which find no place in the professional games. “With its signature ‘T15 over format where the one over between 7th to 12th over is played with an extra swing ball’, it presents a new twist to the game we have all grown up with,” states the formal description about the league. The 14 teams will be selected following a trial and shortlisting process. The selected players get rewards. 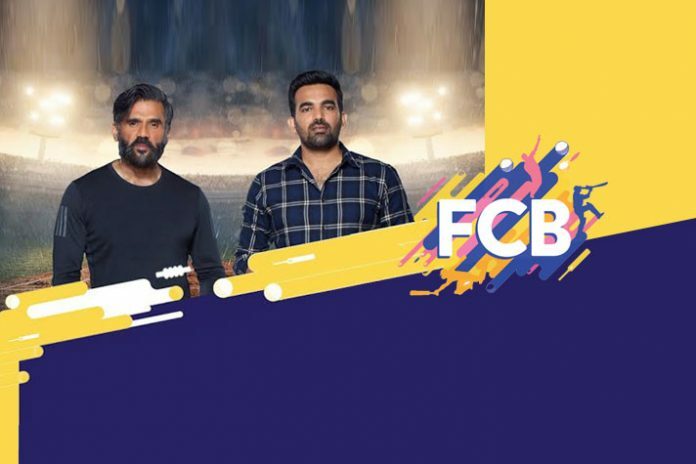 The FCB will also provide the players a chance to brush up their skills under the guidance of cricketing legends and showcase your talents to the world. The FCB will conduct trials in 20 cities – Mumbai, Delhi, Gurgaon, Chandigarh, Ludhiana, Lucknow, Noida, Chennai, Bangalore, Hyderabad, Vijayawada, Kolkata, Jaipur, Kota, Ahmedabad, Patna, Ranchi, Indore, Bhopal, Jammu, and Guwahati. To make the play safer and attractive, FBC has also devised a new ball. While retaining the features bounce, impact, grip and seam of a regular cricket ball, the FCB innovation will have more attractive looks and safer for the palyers. Shetty too has been a passionate cricket lover and an ardent follower of team India. The duo has joined hands to launch the “amateur cricket league that will find the cricket lovers and reward their talent and passion that has remained unrecognized and unrewarded so far”. Young entrepreneurs Jasmeet Bhatia and Mitesh Bhatia are the other two co-founders with Zaheer and Shetty. A Mahendra Singh Dhoni fan, Shetty has been among the regular ones at the Celebrity Cricket League that brings entertainment industry faces together. The league organiser and think tank are keeping their plans and strategy close to their chest. The curiosity is bound to build on till the time Zaheer and Shetty take centre stage next week to reveal their plan in detail. The top 14 players of the league will become the part of the Ferit India and get an all-expenses paid trip to Australia, where they also get to play with the local and South African club teams.